Now I don’t live in the wilderness. 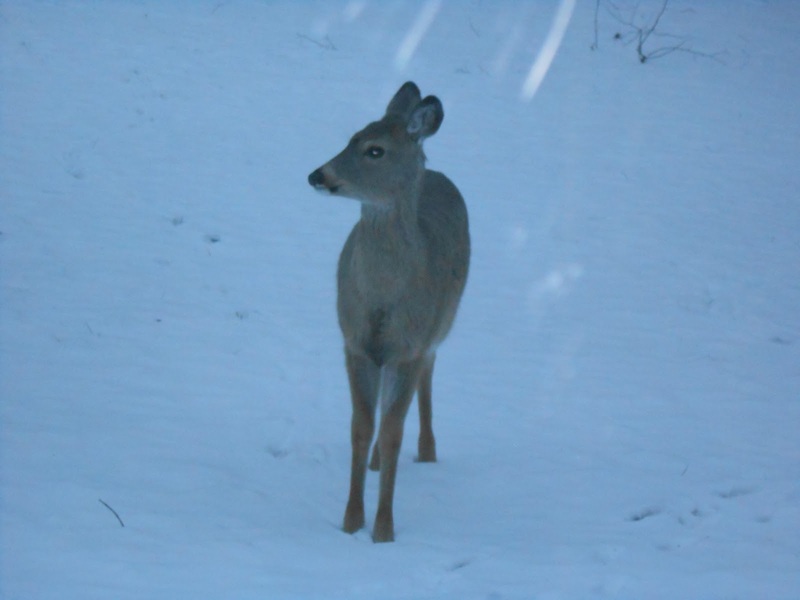 I live smack in the middle of suburbia – we all have fenced backyards. The closest lake is a mile and a half away. So it’s not every day you have a deer just hanging out in your backyard, wishing it was spring and the hammock was strung up. 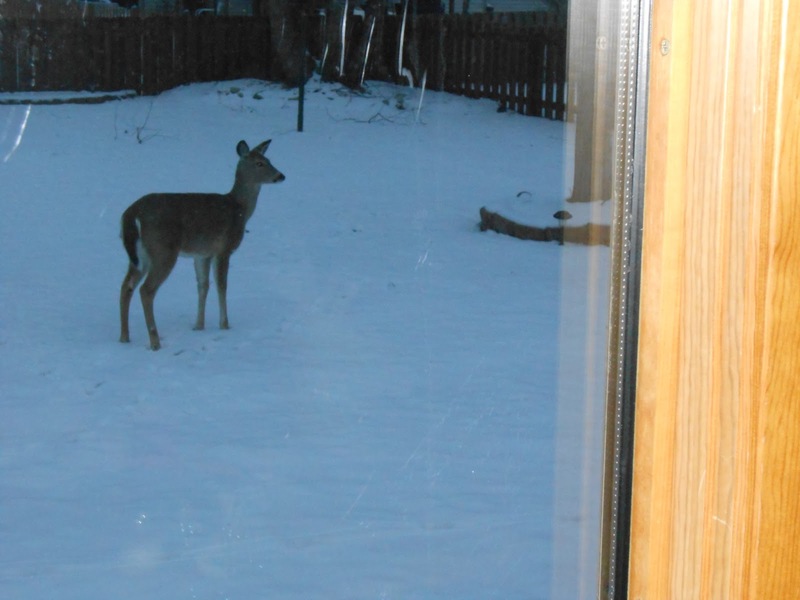 The deer just hung out for awhile, peering in my windows like a Peeping Tom. Then, when it realized I wasn’t exciting, it effortlessly hopped the fence into my neighbors backyard. 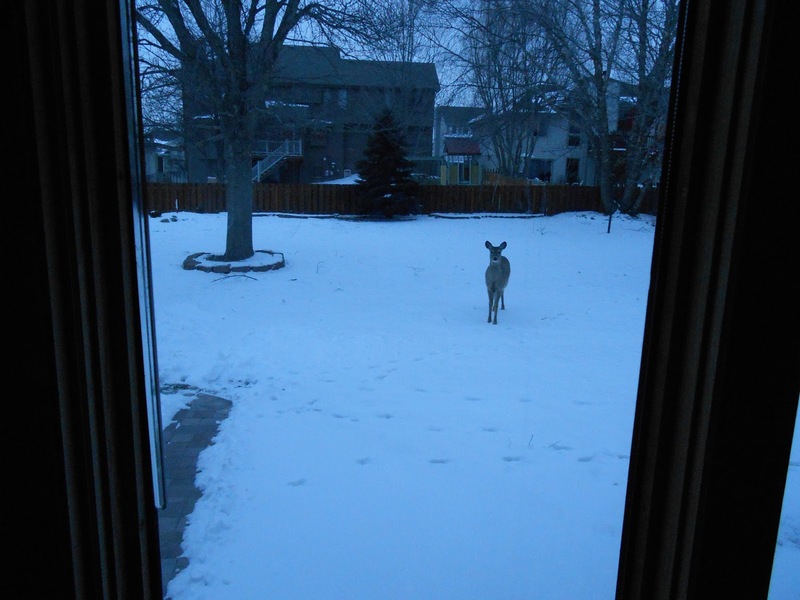 They stared at it out the window as well – an endless cycle of new audiences for this people-loving deer.